Award-winning Norwegian architectural firm, Snøhetta, unveiled an innovative proposal for the Max-Lab in Lund, Sweden. The Max-Lab is a national laboratory jointly operated by the Swedish Research Council and the Lund University. 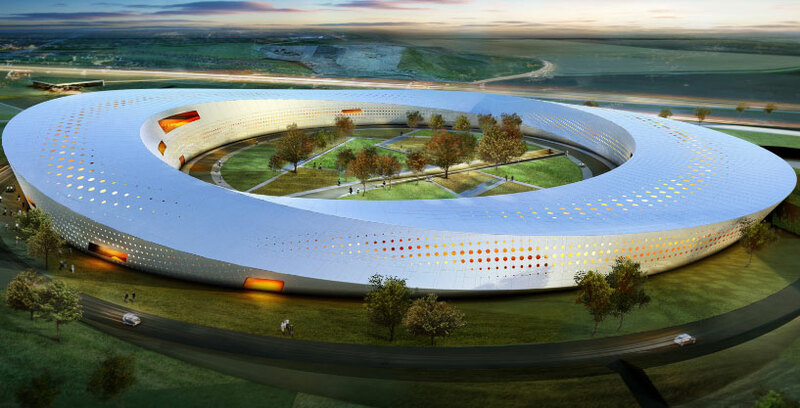 The overall architectural idea builds on the meeting point between the strong landscape and the circular shape of a synchrotron (cyclic particle accelerator). The circular shape is twisted and raised to create a dynamic form based on a Möbius strip that becomes an actual volume, not just a ribbon. 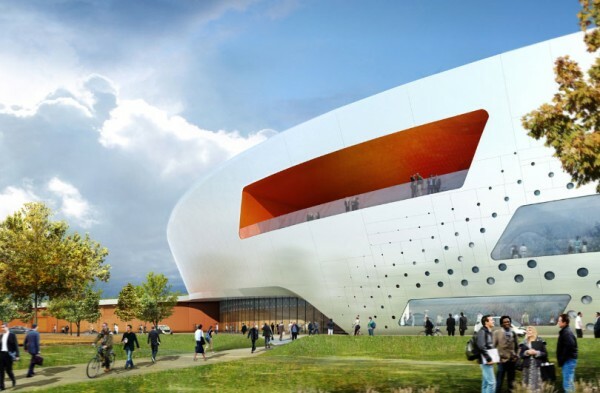 The building is unified to the landscape through parks and cultural programs around an oval road with an iconic layout that would be independent from future developments in the surrounding area – from agricultural landscaping to urban developments. The geometry of the twisted cylinder is generated based on functional requirements and detailed solar studies for heat gain, reducing it up to thirty percent.